Lock in a great price for Mille et une Feuilles – rated 8.3 by recent guests! This is a charming facility that is managed in a traditional French style. Doors still lock with keys that you hang on a peg when you go out. Payment is made as you check out. And the service is impeccable. Each room is named after an author. 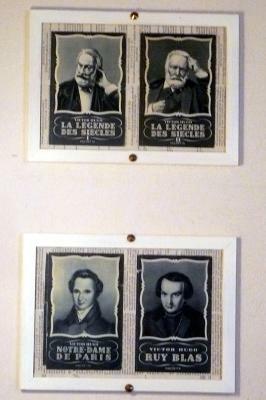 We were in the Victor Hugo room and his portraits hung on the wall. Leaves from his books were tastefully pasted around the room (Mille et une feuilles 😊). They even had a few of his books in the room. Great fun. We had both dinner and breakfast at the hotel and both were very tasty and reasonably priced. We highly recommend this hotel. Wonderful and slightly quirky (in a good way) place. We would definitely stay here again if in the area. Great place. Perhaps a bit quirky for some, but our group all loved it. Bonus points for the overall theme. The exterior space was excellent; the interior more than adequate if a tiny bit run down (too strong a phrase, really; the place was honest with its age). We would stay here again for sure. The decor was very well done and the small garden seating area was very nice. Good location, cozy interior. Nice book theme all over! Breakfast was normal. Location. Bike store. Restaurant. Owner very cooperative supplying fan. Lovely bijou property. Loved all the pictures of writers. We atayed in the George Sands room and we’re provided with infor and a biography of her. You can even have a free book! Tastefully decorated room. Beautiful courtyard and covered area for our bikes. Lovely breakfast. This is a lovely hotel, in a town of words. The individual styling of the room was not overdone. I was in "Colette", a small room that was clean, comfortable and pretty. The shower was excellent with a grab rail to help with the step down when getting out. Lots of lighting at the desk and over the bed. Added bonus of a kettle. The staff were nice. The room was quiet at night. The train station is 5 minutes walk and the main town/priory/ramparts are 5-10 minutes walk. The restaurant attached to the hotel served excellent food, with a fun waitress and at a good price. Breakfast had lots of options, including cold egg, meat and cheese. There's also a little garden at the side of the hotel to sit in. Handy location off Paris motorway. Pretty town,with heritage buildings. Good restaurant in town. Set in an 18th century building in Charité sur Loire, the Mille et une Feuilles hotel is dedicated to French writers. Located on the St Jacques de Compostela pilgrimage route, it offers free Wi-Fi internet access. 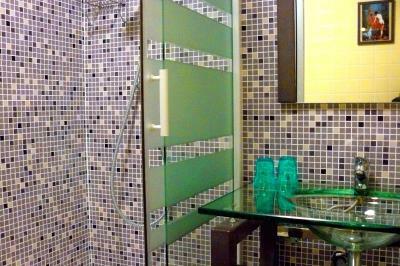 Mille et une Feuilles offers comfortable rooms equipped with a TV, a fan and an private bathroom with free toiletries. The hotel’s restaurant is decorated with portraits of famous writers and serves creative dishes made with local produce. Guests at the Mille et une Feuilles are just 5 minutes from the railway station, the historic town center and its neighborhood booksellers. When would you like to stay at Mille et une Feuilles? Following a Jules Verne theme, this room is decorated in warm colors and offers views of the garden. If you are traveling by car, please enter this address in your GPS device: avenue de la Gare. You will find the hotel 164 feet past the train station on the right. Following a George Sand theme, this room has a TV, a ceiling fan, tea and coffee tray and a private bathroom with a hairdryer, beauty mirror and free toiletries. Following a Comtesse de Ségur theme, this room with attached bathroom includes a work desk. Following a Moliere theme, this room has a TV, a ceiling fan, tea and coffee tray and a private bathroom with a hairdryer, beauty mirror and free toiletries. Following a Honore De Balzac theme, this room has a TV, a fan and an private bathroom with free toiletries. Following a Colette theme, this room has a TV, a fan and an private bathroom with free toiletries. Extras in this room include views of the courtyard. Following a Victor Hugo theme, this room includes 2 large windows and a work desk. Following a Jean de la Fontaine theme, this room has a TV, a ceiling fan, tea and coffee tray and a private bathroom with a hairdryer, beauty mirror and free toiletries. Following a Simone de Beauvoir theme, this uniquely-decorated room has 2 big windows and parquet flooring. Located in a city at the historic fort, built around an important religious heritage, a city dedicated to books and to the word, surrounded by vineyards, forest and crossed by the Loire, the Mille et une Feuilles is central to cultural discoveries, arts and sports. 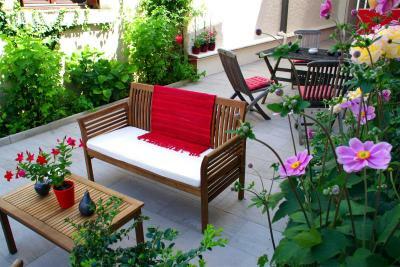 The property is devoted to literature and writers, offering an original and quality service. The hotel doubles as a restaurant that opts bistronomy with local products and flavors from elsewhere. House Rules Mille et une Feuilles takes special requests – add in the next step! Mille et une Feuilles accepts these cards and reserves the right to temporarily hold an amount prior to arrival. Light outside 2nd floor window to front of building and hence an amazing number of insects at night. There was no yoghurt at breakfast. A personal thing. The mascerating (??) toilet was noisy and could hear other rooms' toilets, but it really wasn't annoying. The room was a little overpriced at 76 Euros. The constant rumble of semi-trailers (lorries/massive trucks) really ruin the vibe of La Charite but they don't go past the hotel. Hotel dated and needs modern facilities. Aircon needs updating. The streetlight right outside our window was overly bright. Curtains could've taken care of that except we needed them partially open to allow cool air into the room. very noisy road outside for most of the night - ask for a room at the back if possible. no aircon so needed a creaky ceiling fan to be on all night. huge welcome and fantastic dinner! great location for jumping out to Pouilly and Sancerre if you are on a wine trail!!! lovely old town but sadly the wine shop is closed on a Monday!!! !